Owl City excitedly announces that “Fireflies,” has been chosen as the iTunes Single of the Week and will be exclusively available as a free download beginning Tuesday, July 14th. The highly coveted iTunes feature is the first to reveal a new song from the highly anticipated and long awaited physical release debut Ocean Eyes, out July 28th and available for digital purchase via iTunes on July 14th. This special announcement comes on the heels of what has already been an extremely successful summer for Owl City. The band continues to dominate the charts at iTunes and expand upon the impressive online presence that is growing exponentially. · SPIN proclaimed Owl City one of the 10 Must-Watch Acts at this year’s Sasquatch festival and EXCLUSIVELY premiered the single “Strawberry Avalanche” on June 1st. The single has since been purchased 9,000+ times. · Tastemaker site AOL Spinner premiered the song “Hot Air Balloon” on May 1st and it debuted at #1 on AOL Music’s Top 40 Songs Chart with more 270,000 streams the first week – ahead of Beyonce, Ciara and Katy Perry among others. In June the song ended up in the #3 position in AOL Music’s Top 40 Songs Chart. 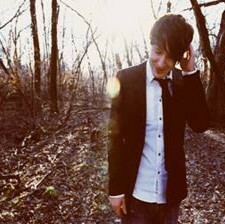 To date, the song has been purchased over 12,400+ times and fans that flocked to the Owl City site for a free MP3 of the song with an email sign-up have downloaded it over 17,000 times. Owl City is poised to take over the national scene with amazing sales, sold out shows, and a fervent fanbase all contributing. Now is your time to get in on the way up!